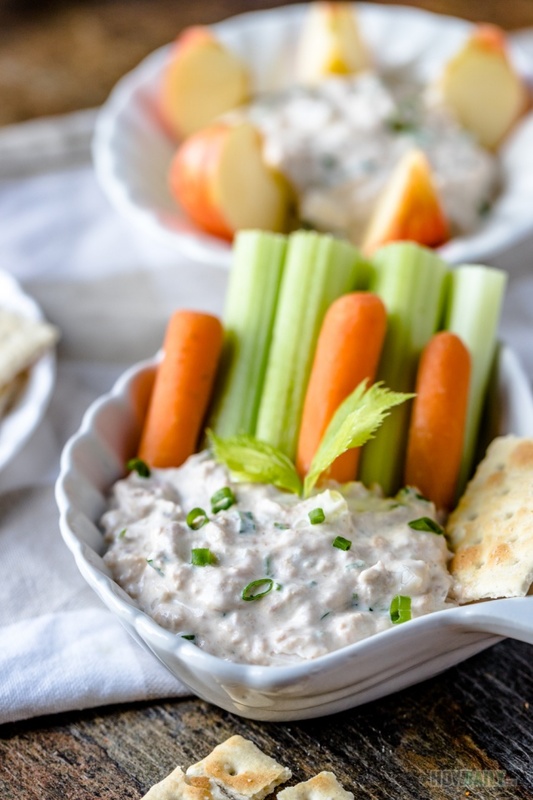 Quick dipping recipe, this smoked tuna required just your normal in fridge or pantry ingredients and can be done within 15 minutes. The result is marvelous and can be used to dip regular carrot sticks, celery, apple, or anything to your liking. To start with, you would need those smoked flavor tuna pouches that can be find in the canned section of any grocery store. Or if you can’t find anything with smoke, grab the regular albacore tuna can. Then add a couple drop of liquid smoke to correct the sense. You can also smoke your own fresh tuna on the grill, but this definitely require more time and energy to do. For binder, I would use mayo, but you can also substitute with anything from sour cream, cream cheese or even Greek yogurt to achieve the same texture. Just make sure to add or decrease Worcestershire and salt. Soy sauce is add to enhance tuna flavor, but can be skipped as well as it might alter the overall color. I would use white onion and scallion the spruce up the scents. Parsley is added as well, but you’re free to add any desirable herbs. 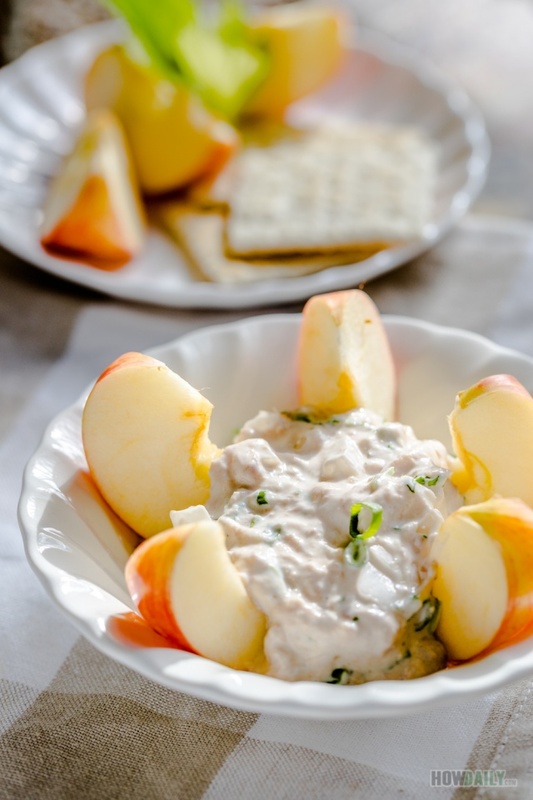 This dip is just as versatile as the favorite clam dip, and can be enjoy in many ways. Beside appetizer, I would just whip in additional tuna and veggies to turn this leftover (if any) tuna salad. Thus don’t worry if you’re making too much or someone forget to dip their sticks. 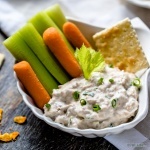 Simple smoked tuna dip with mayonnaise and a vast of spice and herbs. 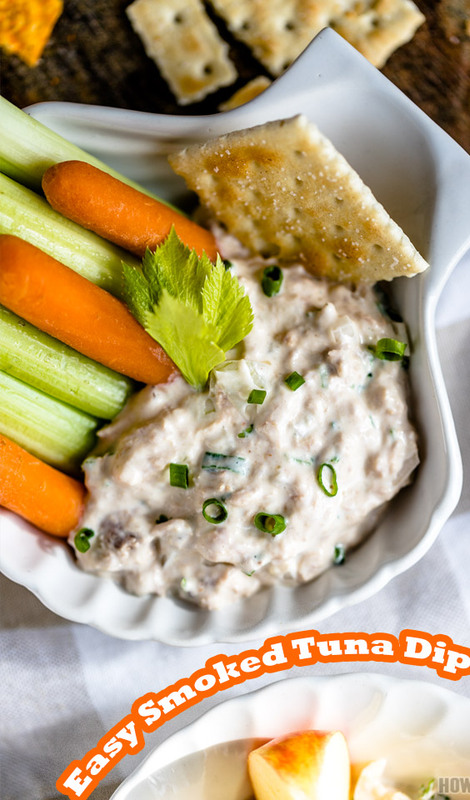 Enjoy it with any kind of dipping sticks like carrot and celery. Crackers work too. Break and fluff smoked tuna with a fork. Add all seasoning above and combine well. Now finely chop parsley, white onion and scallion. Add them all to the mixture. Finally add mayonnaise and mix them good. Cover and chill in fridge at least 30 minutes before serving.